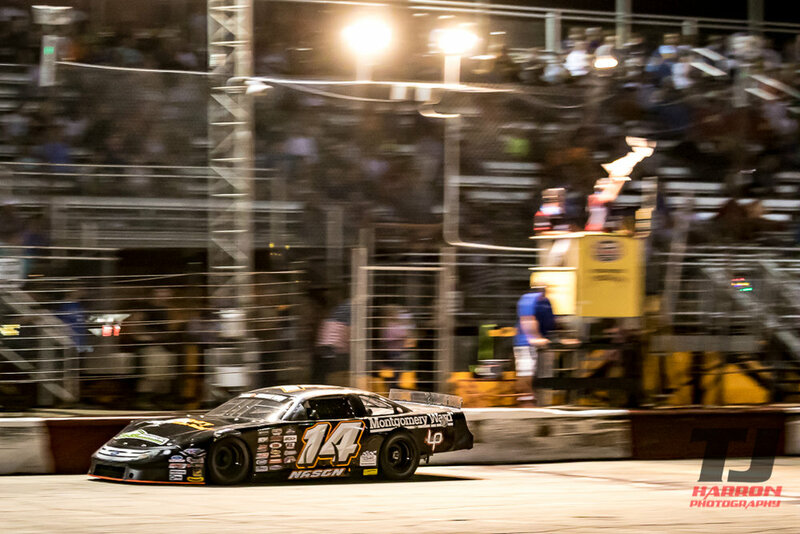 Casey Johnson had this race circled on the calendar. 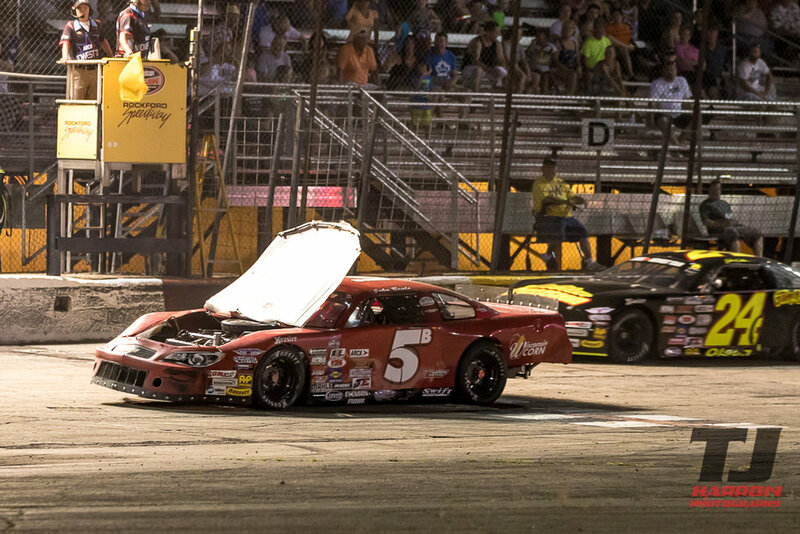 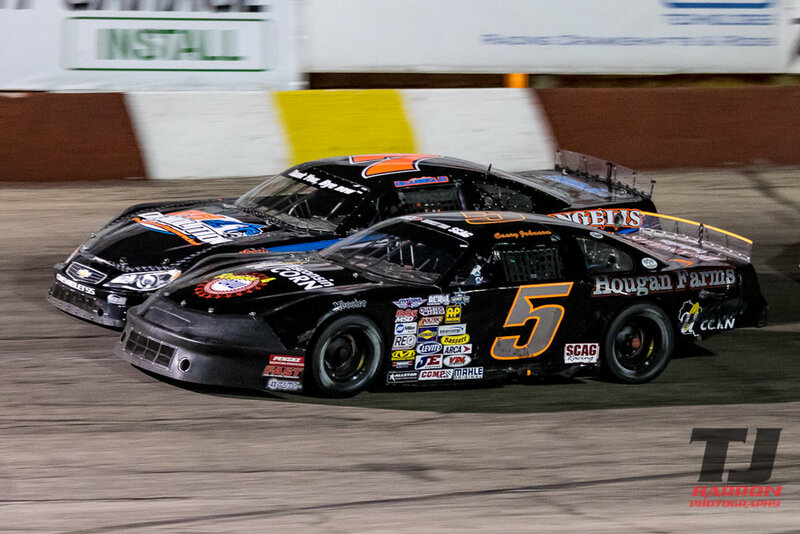 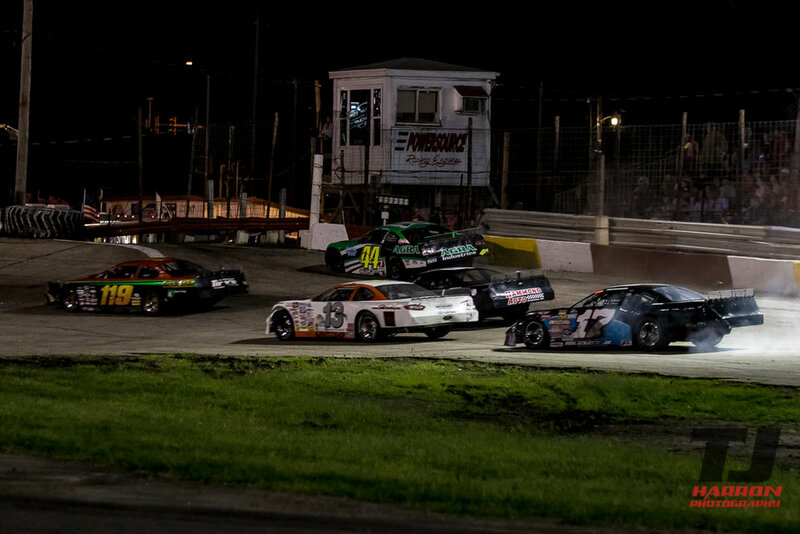 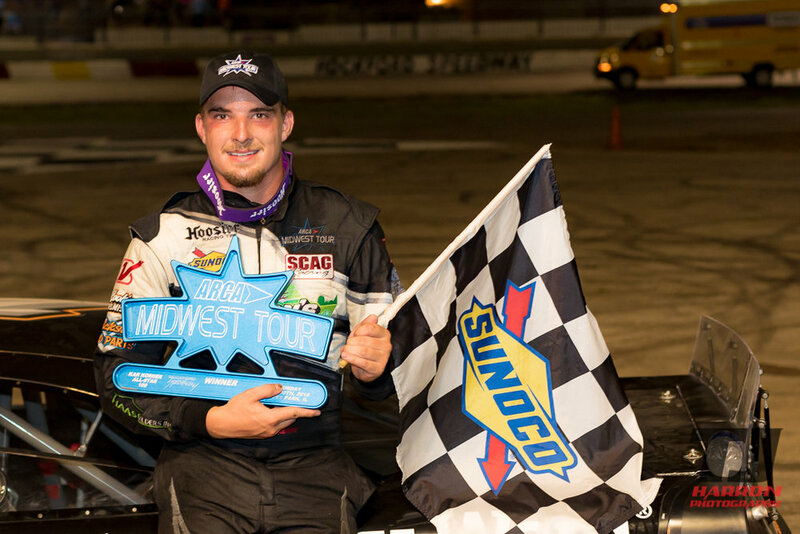 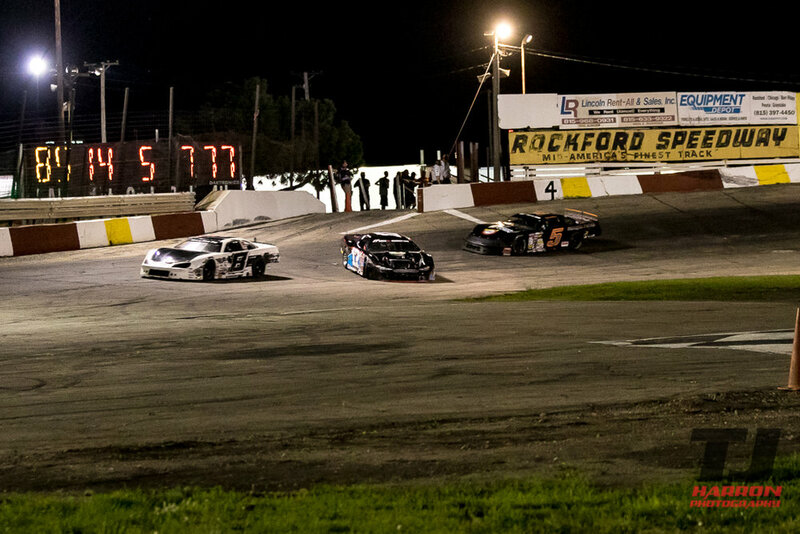 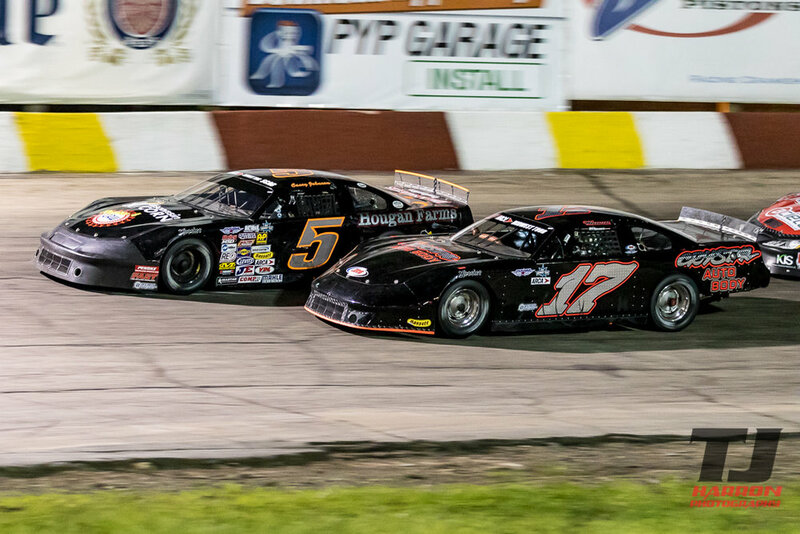 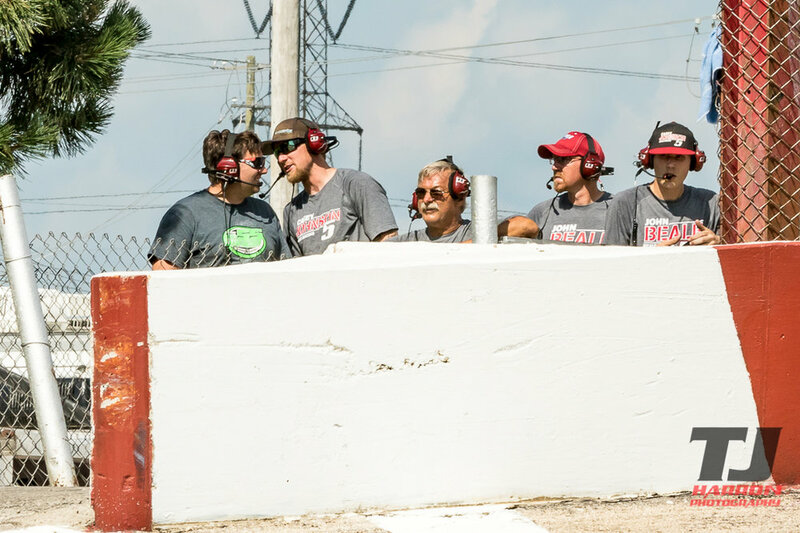 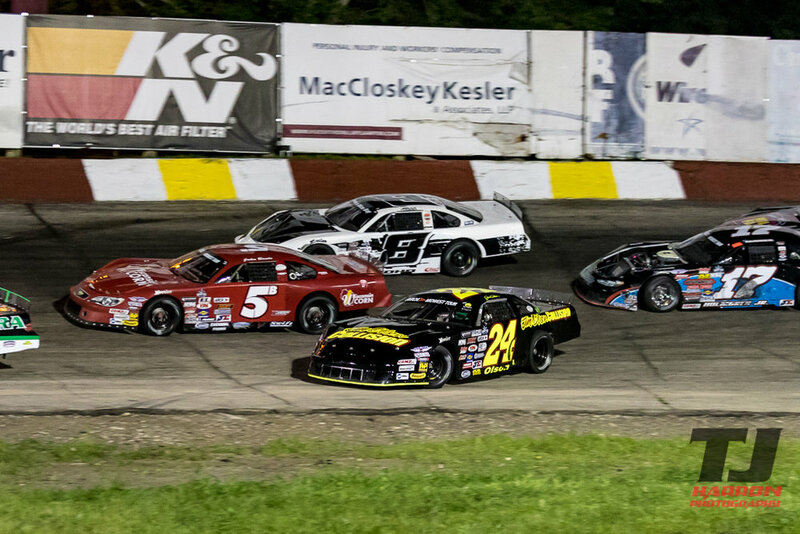 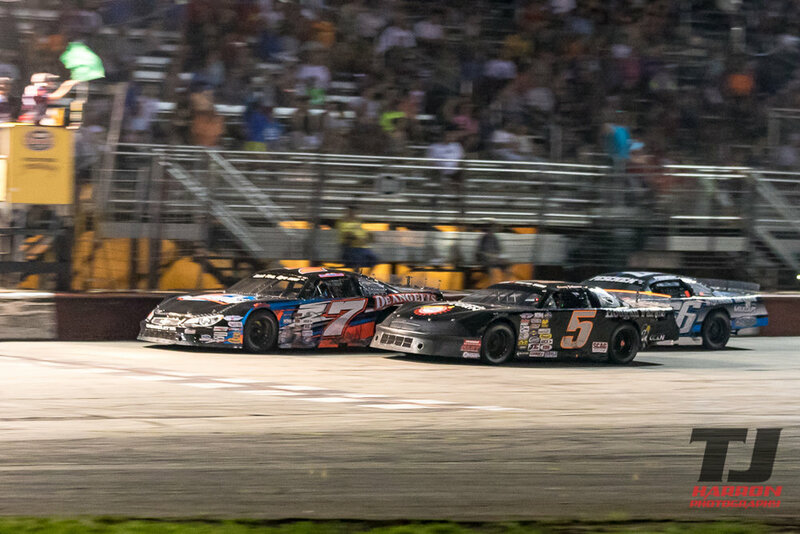 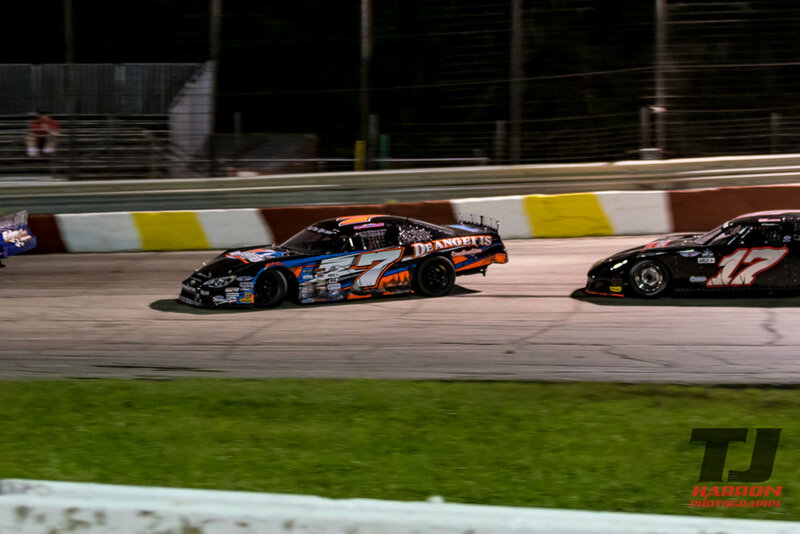 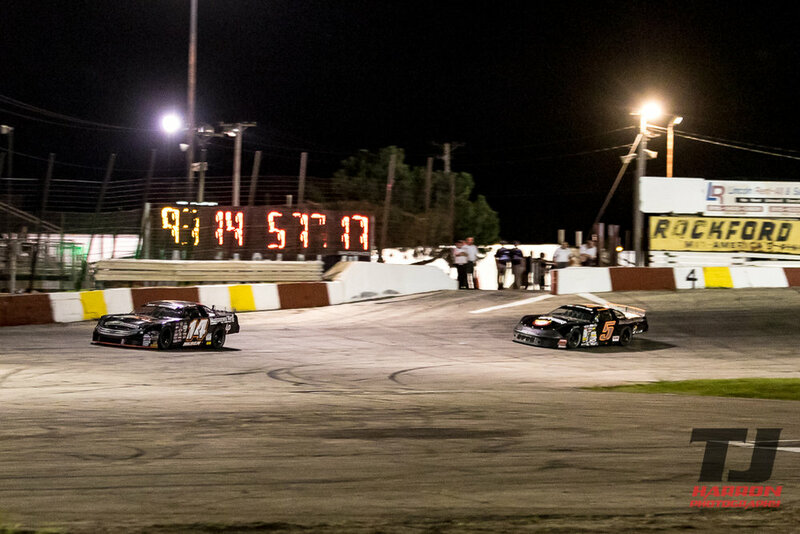 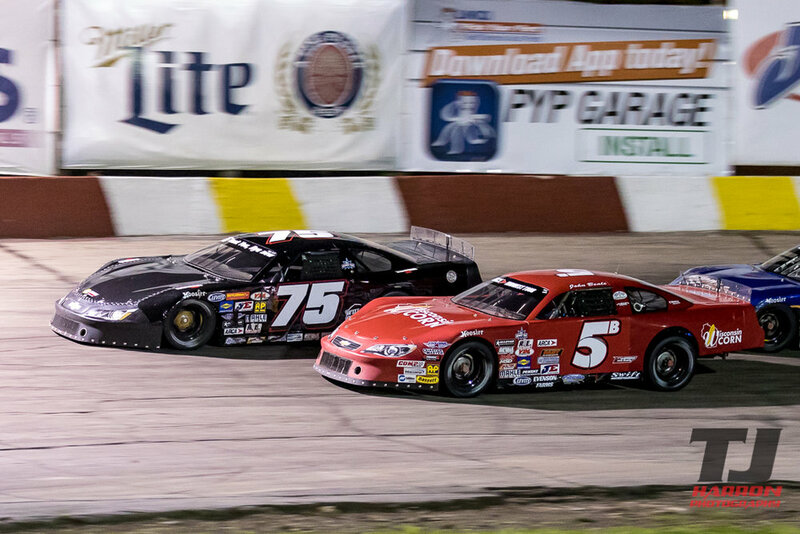 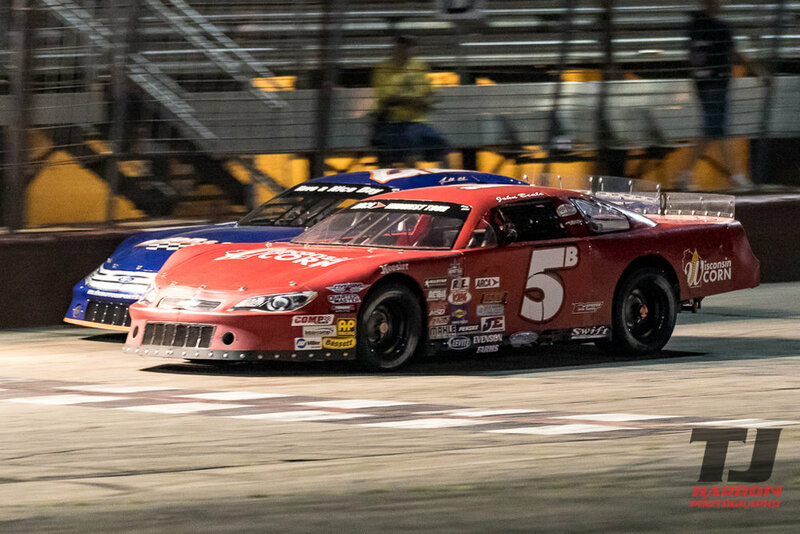 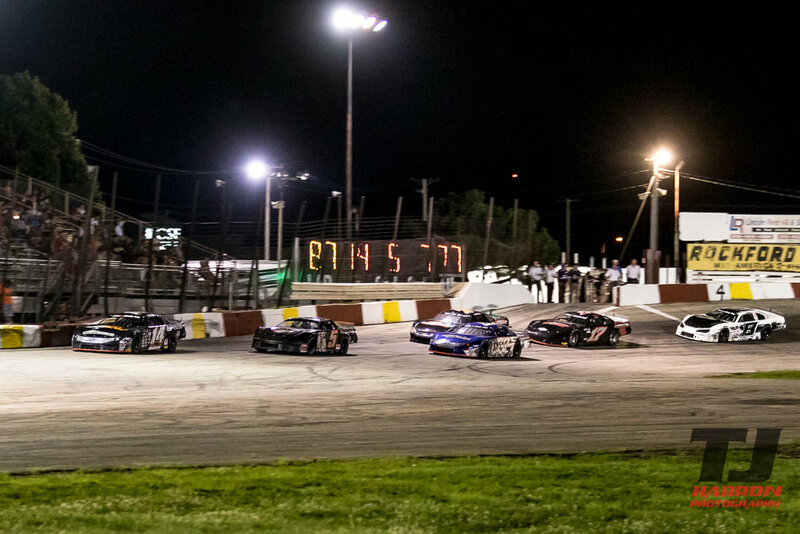 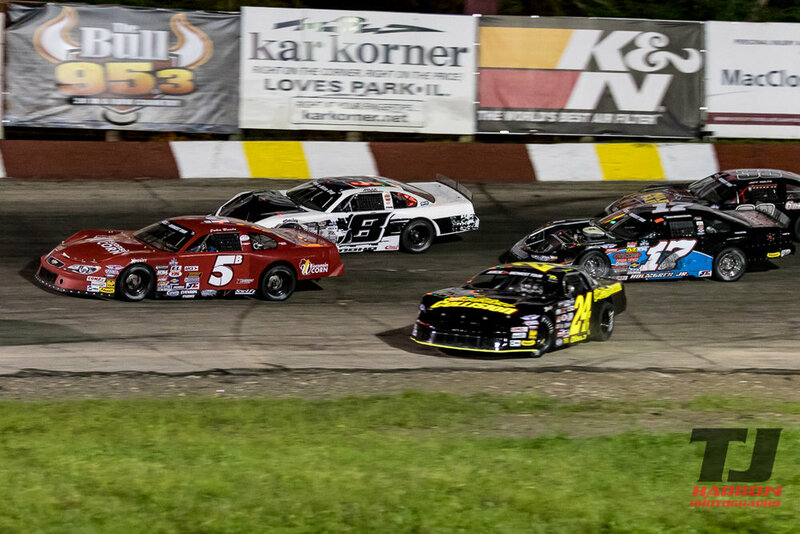 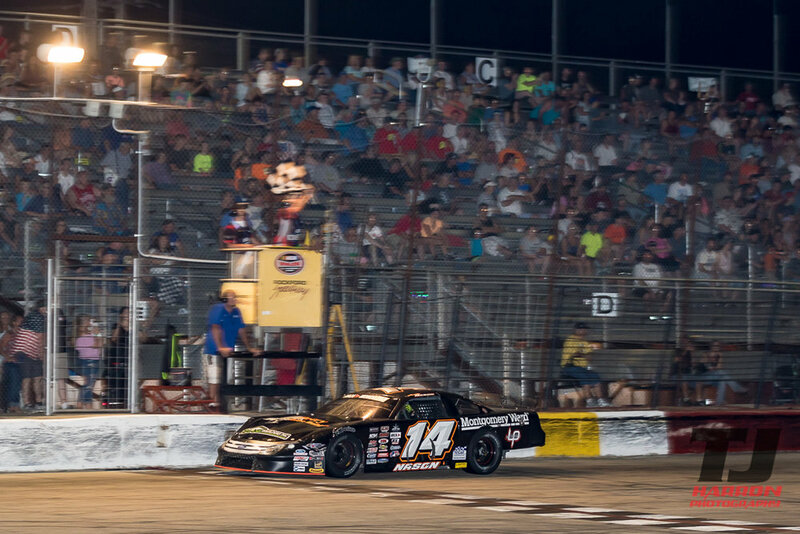 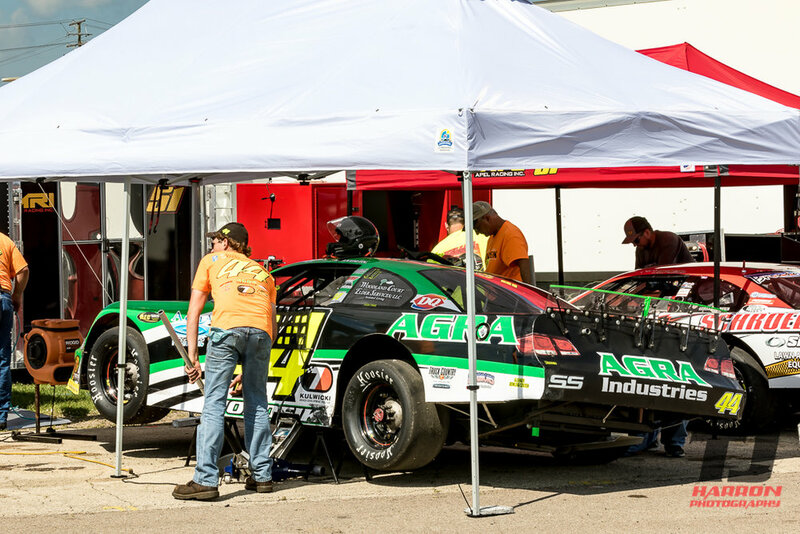 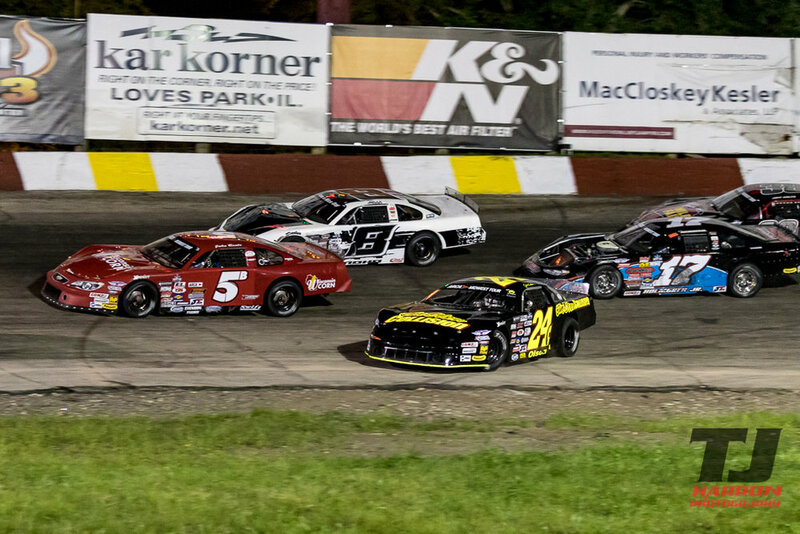 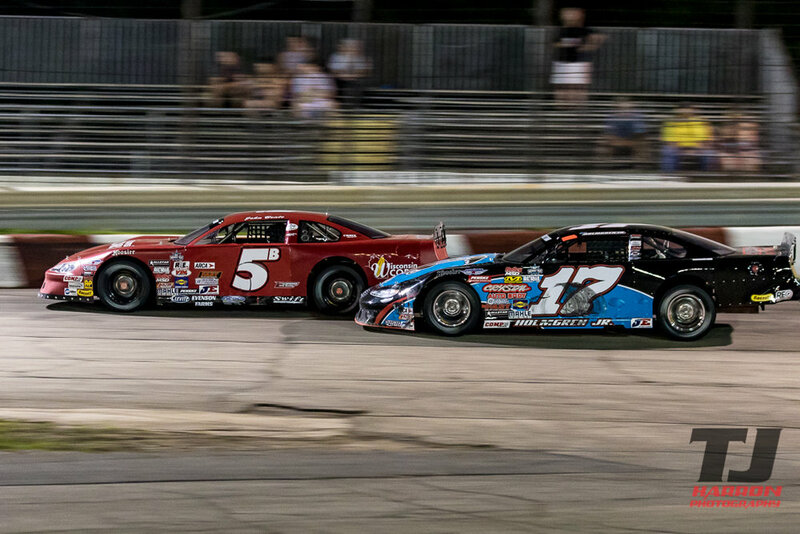 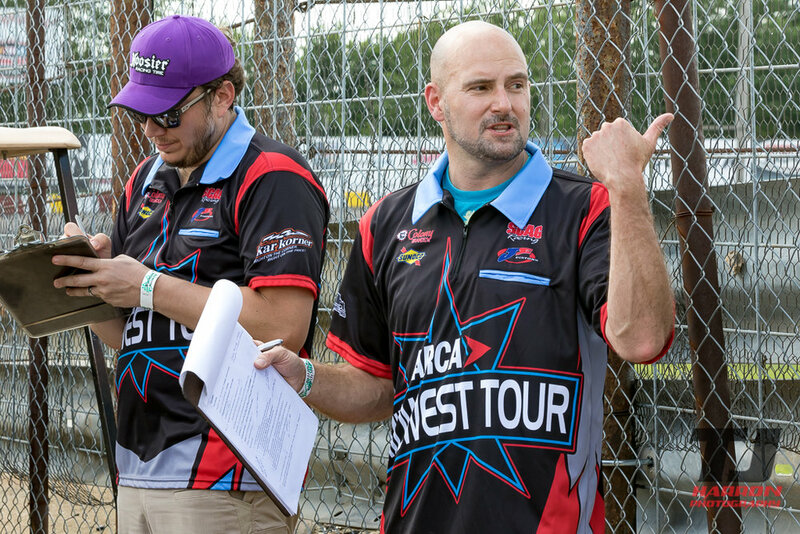 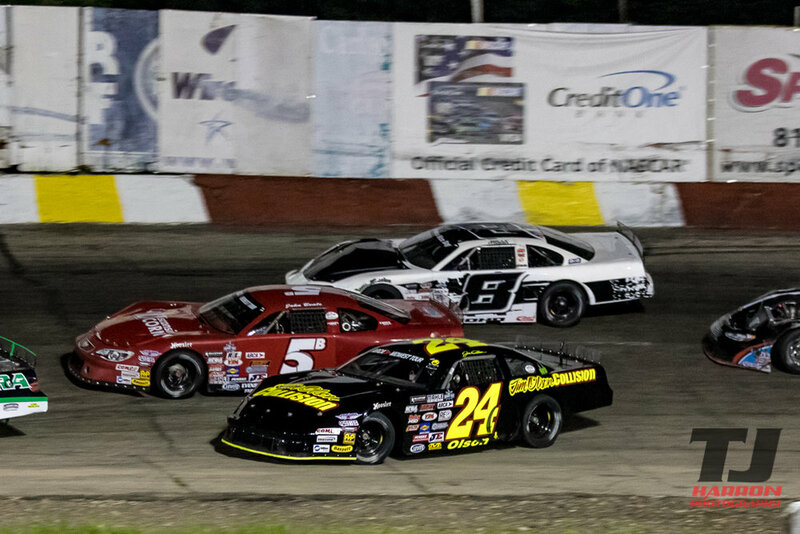 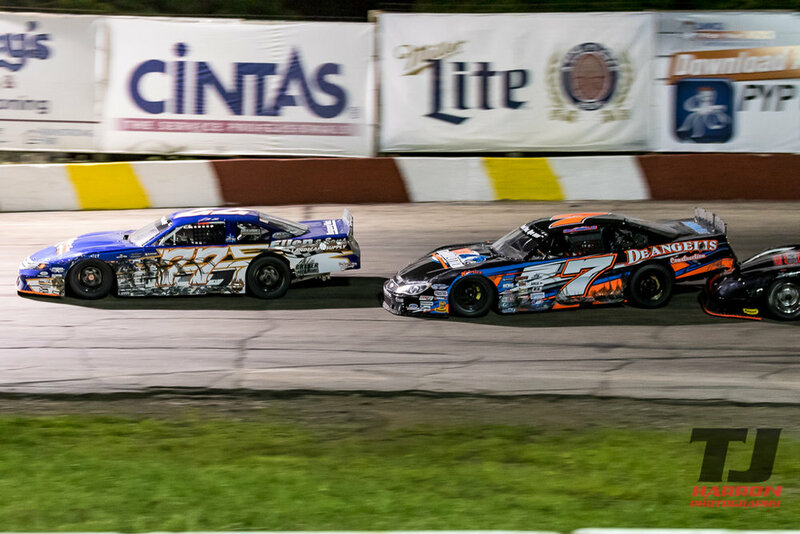 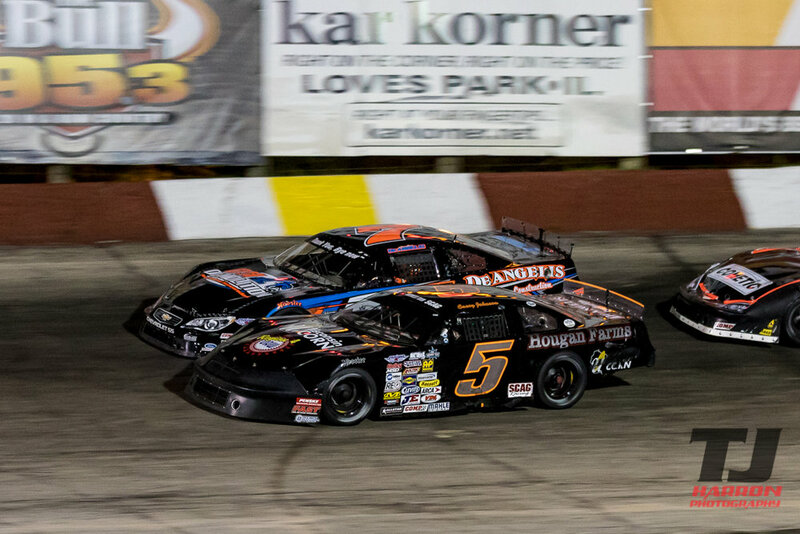 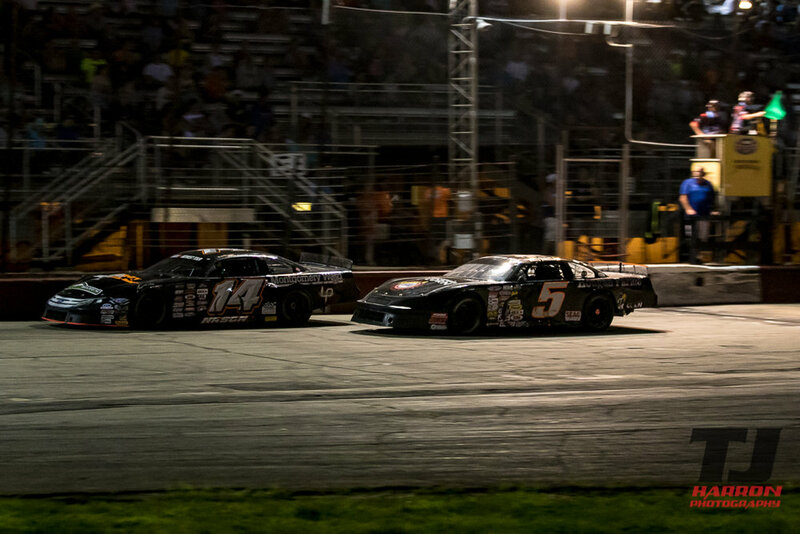 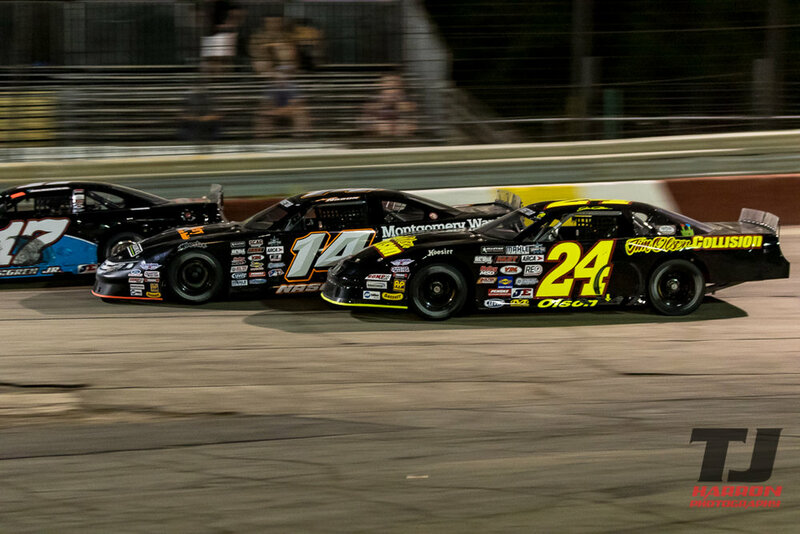 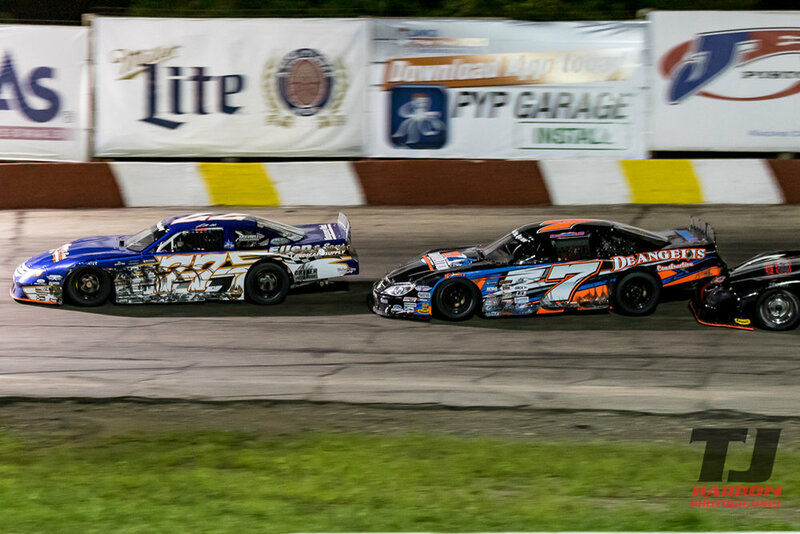 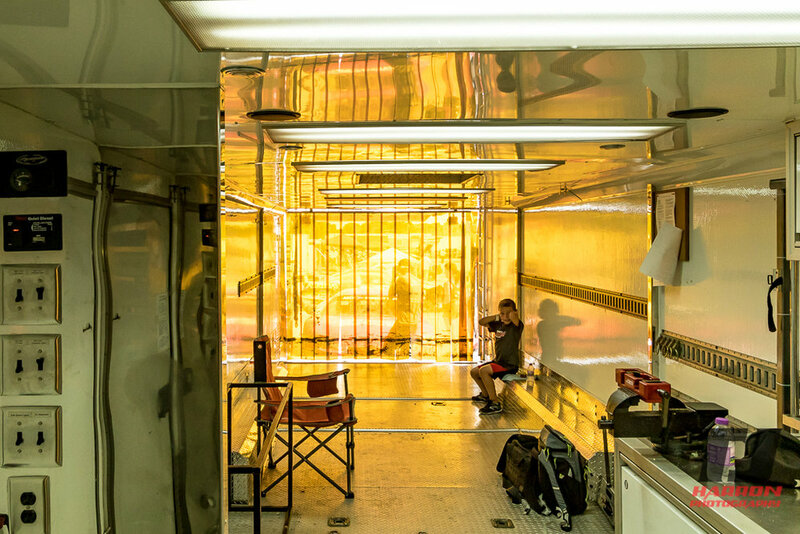 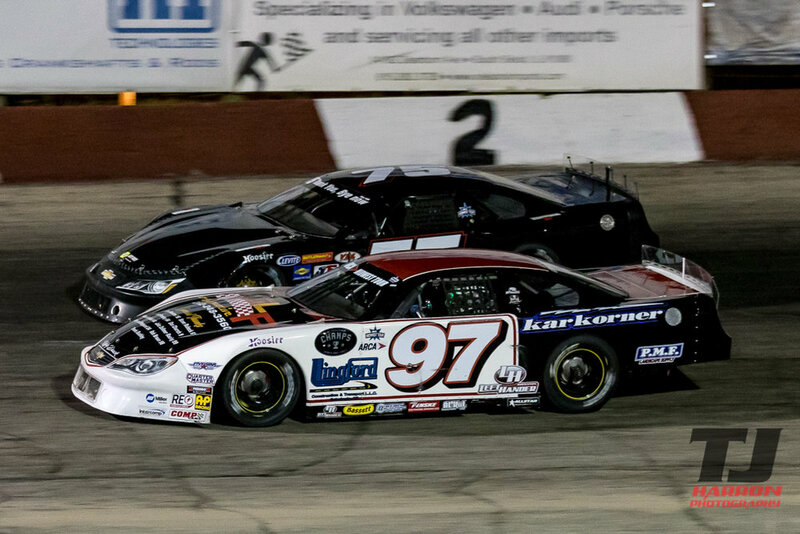 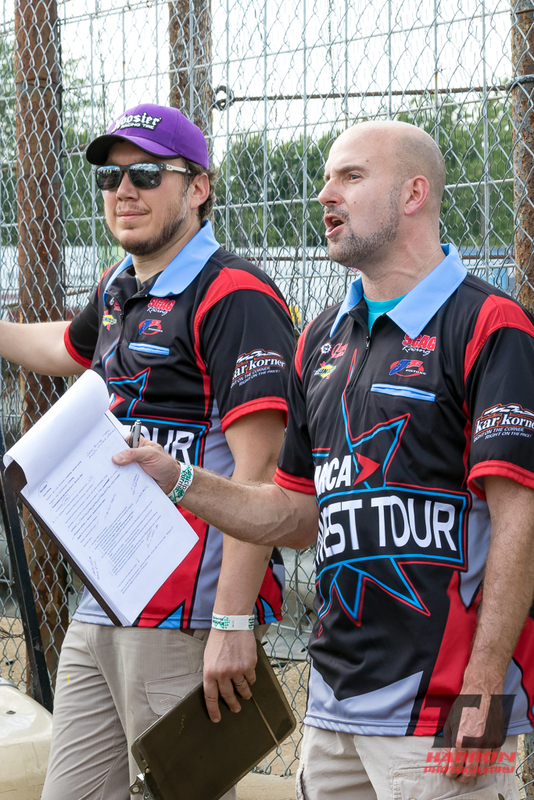 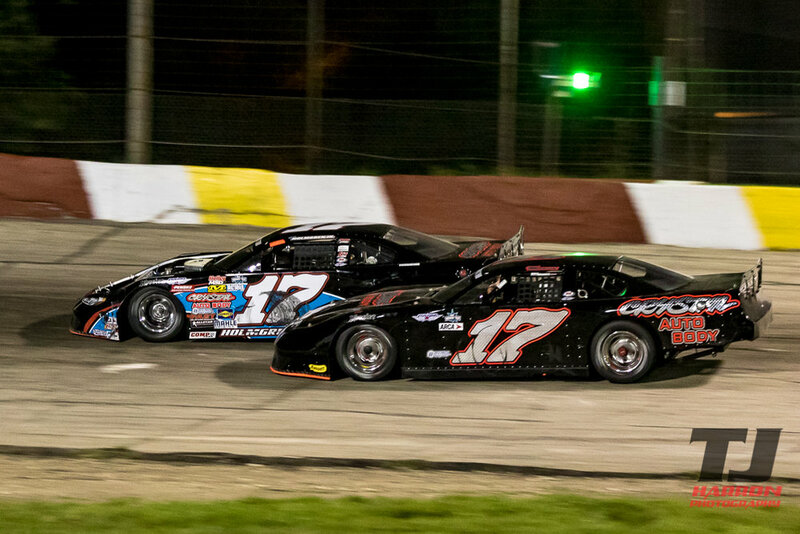 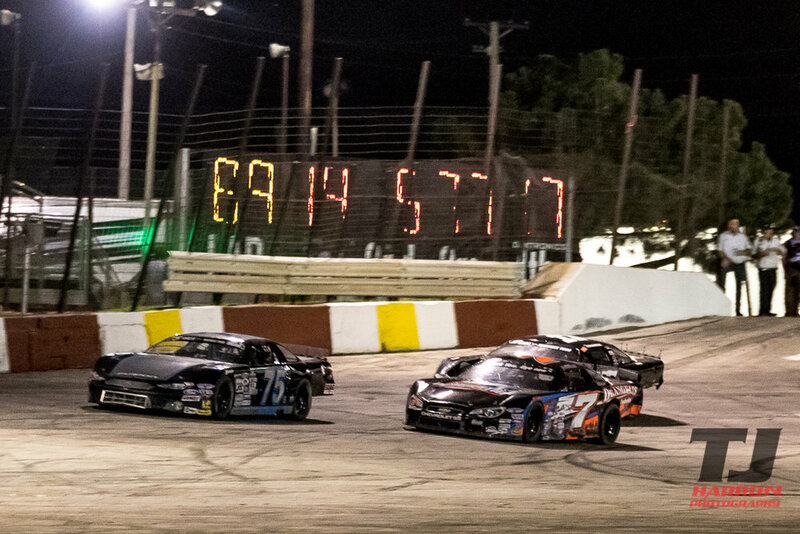 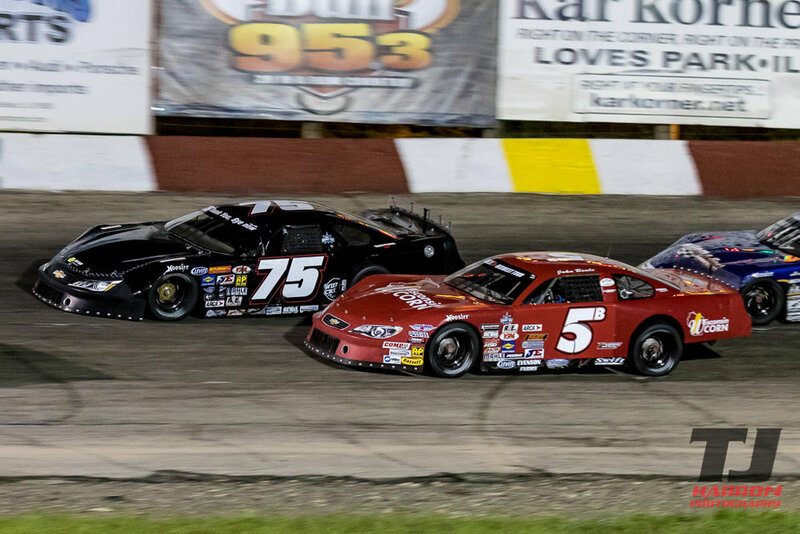 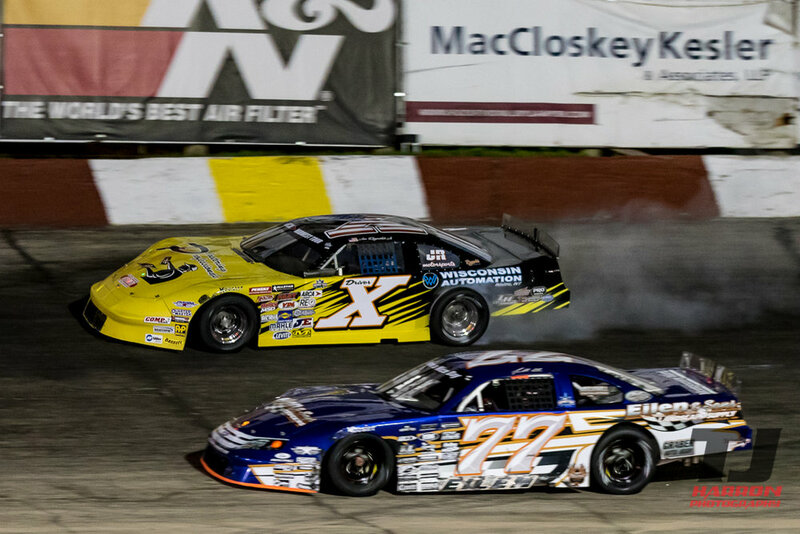 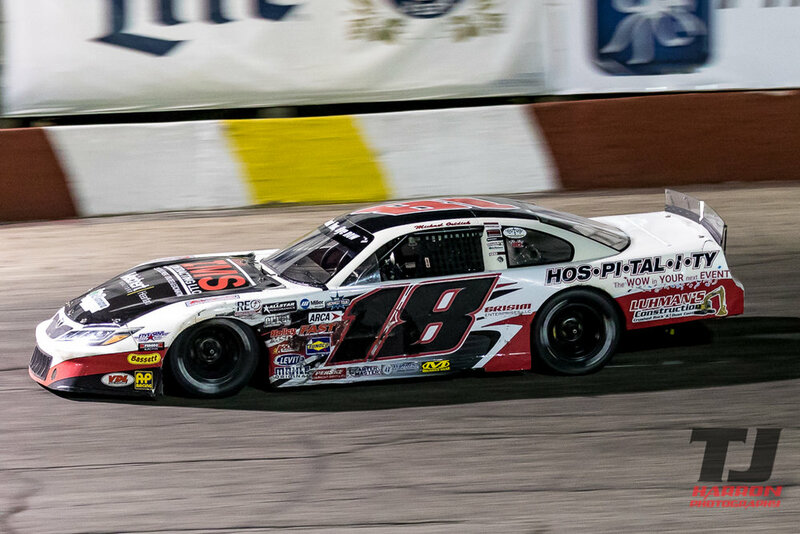 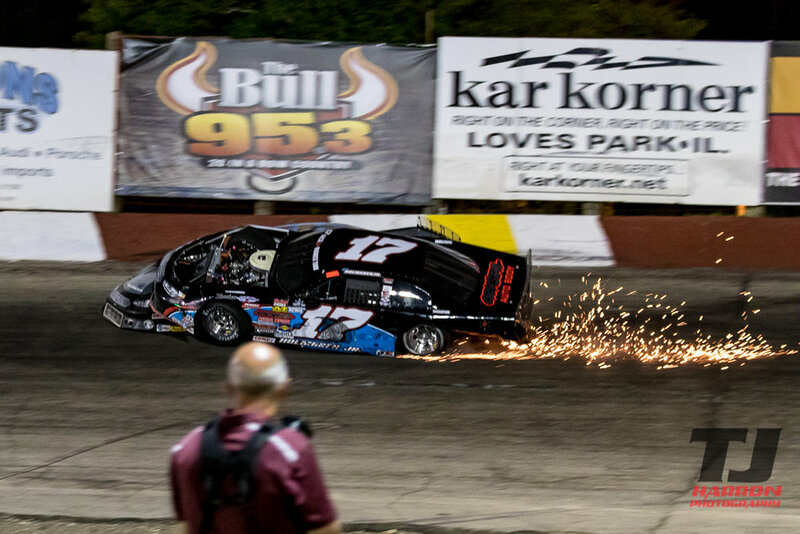 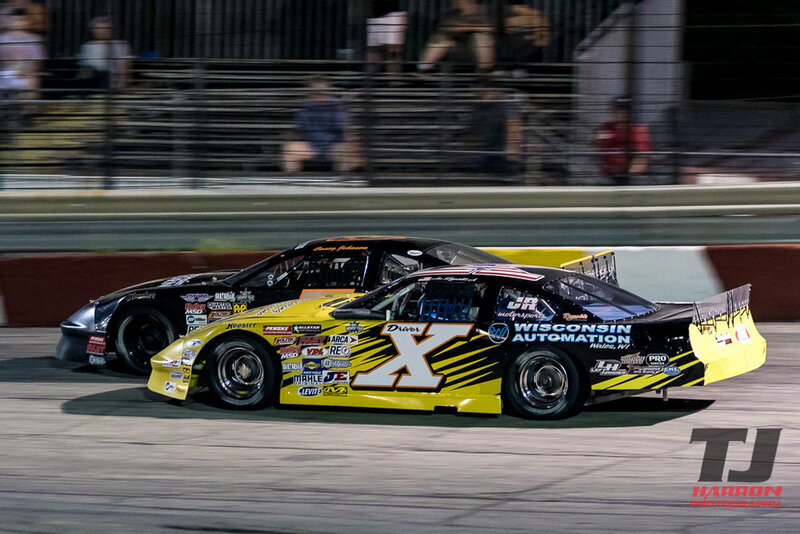 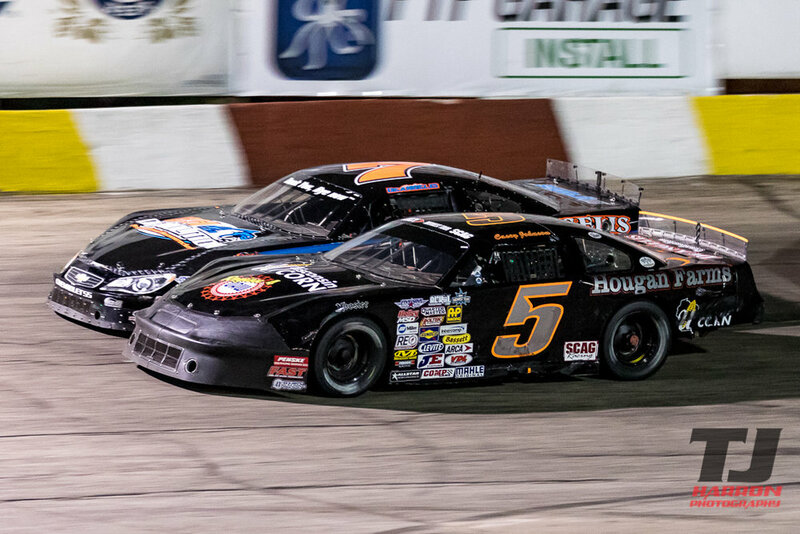 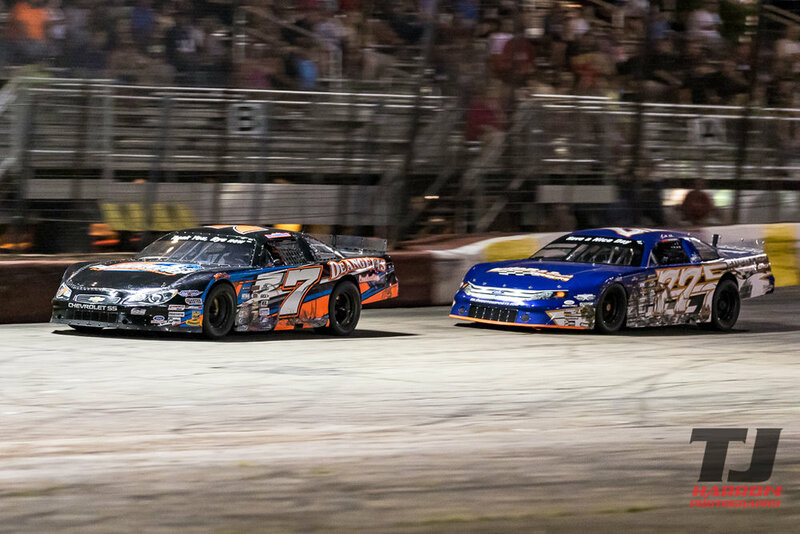 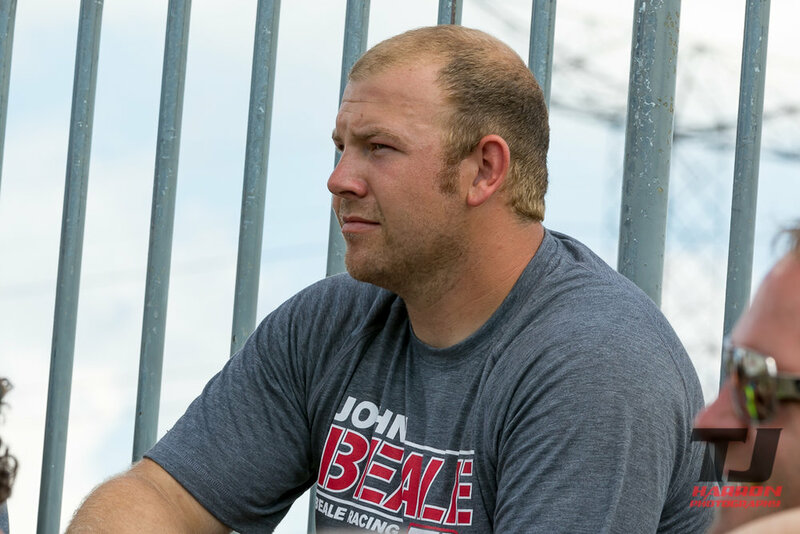 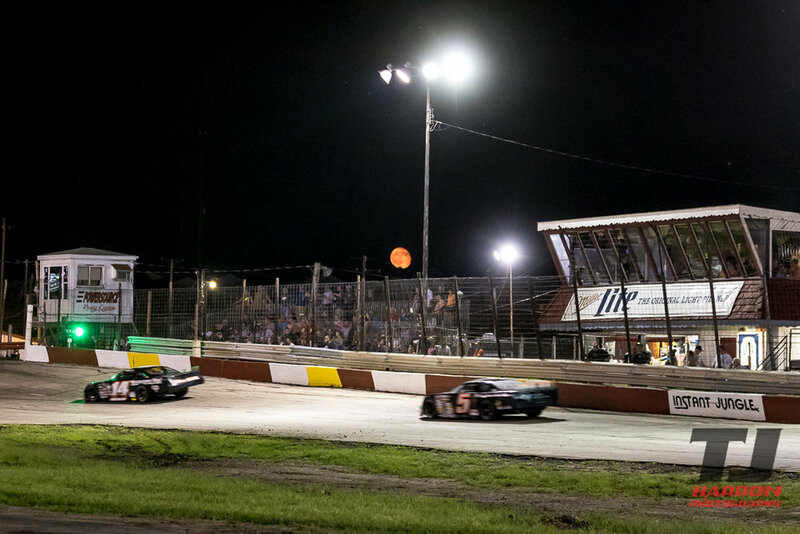 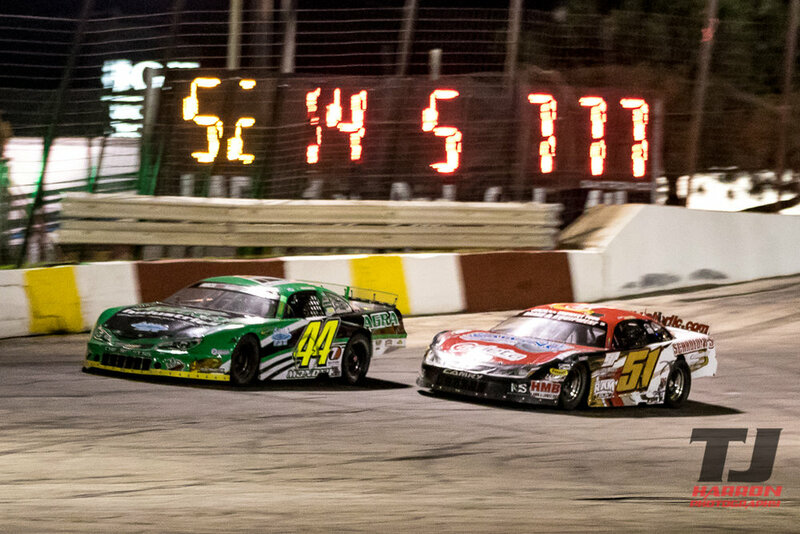 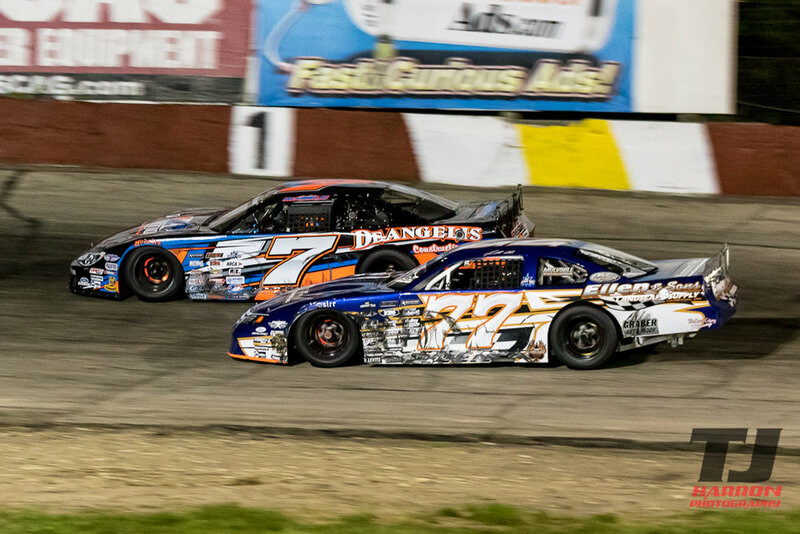 He's had success at Rockford Speedway in the past and was hoping to not only succeed himself but pass that knowledge on to fellow teammate John Beale. 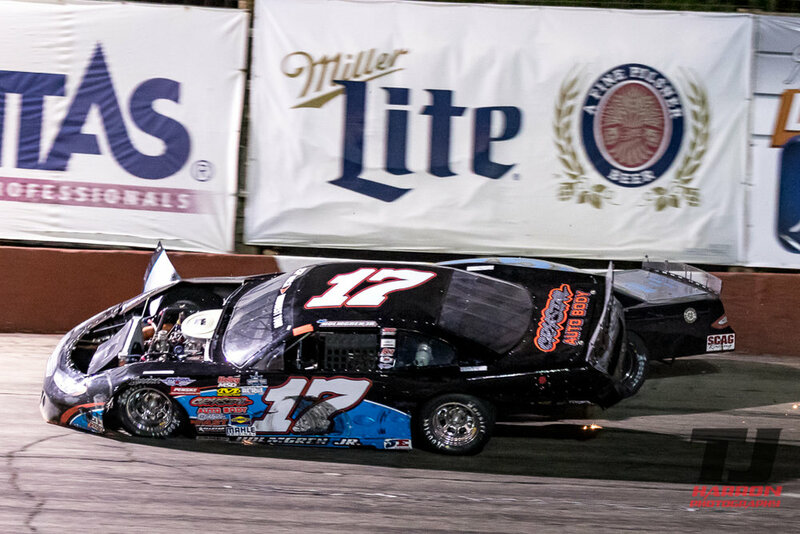 Casey's experience came to the front with a successful finish of p2 behind hot shoe Austin Nason. 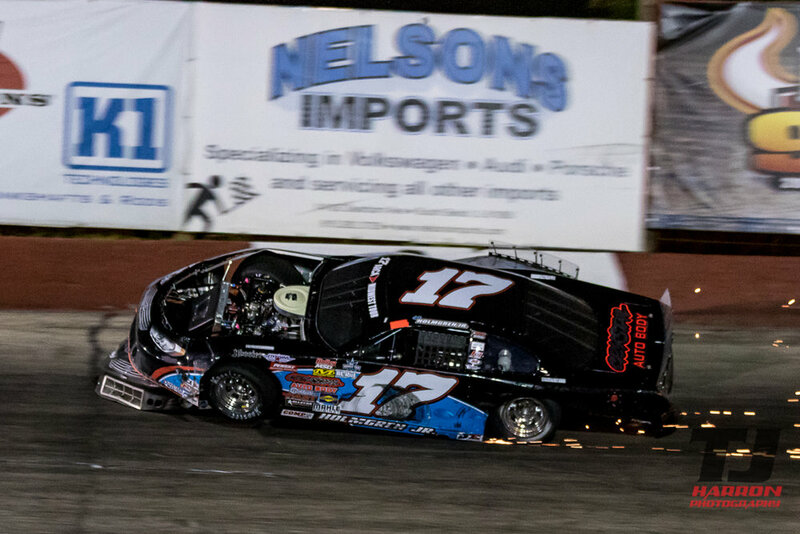 The race should have been nicknamed Wreckfest. 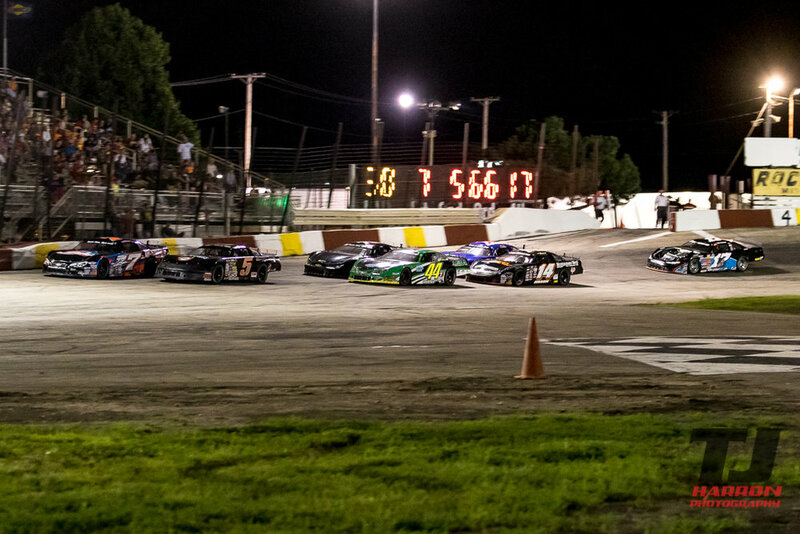 The same drivers that went 100 green laps at State Park Speedway caused over a dozen yellows before the race was completed. 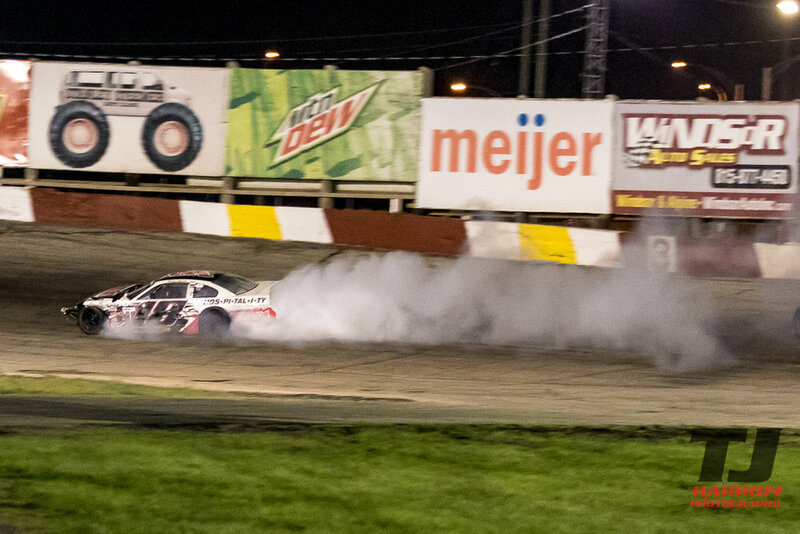 Unfortunately John Beale wrecked out of the feature after he made contact with Justin Mondeik. 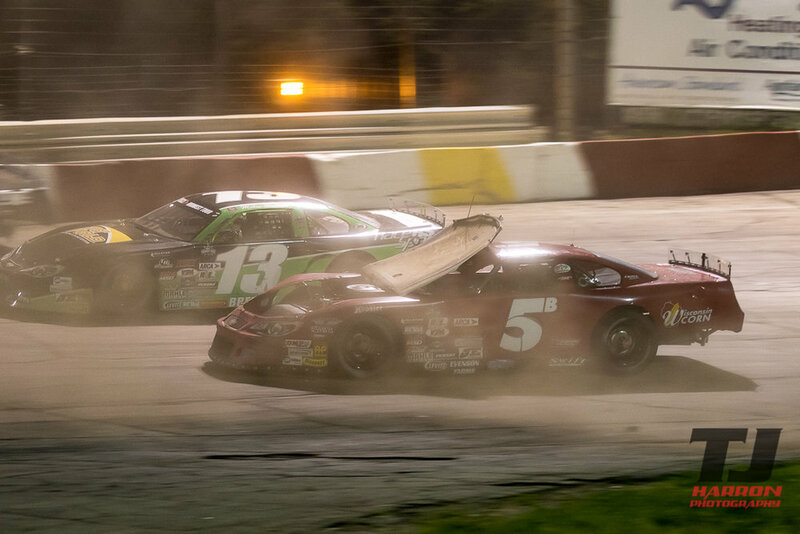 The incidentally hit caused the front bar that the holds the front of the hood to break loose. 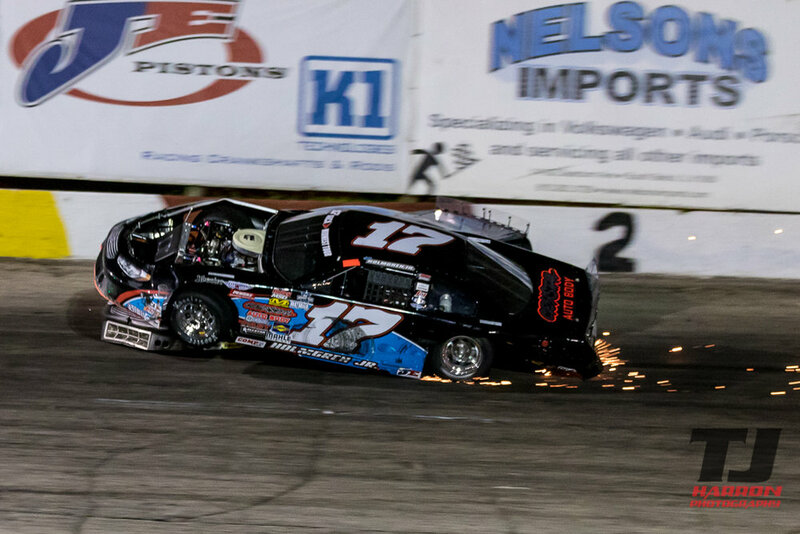 This allowed air to blow under the hood. 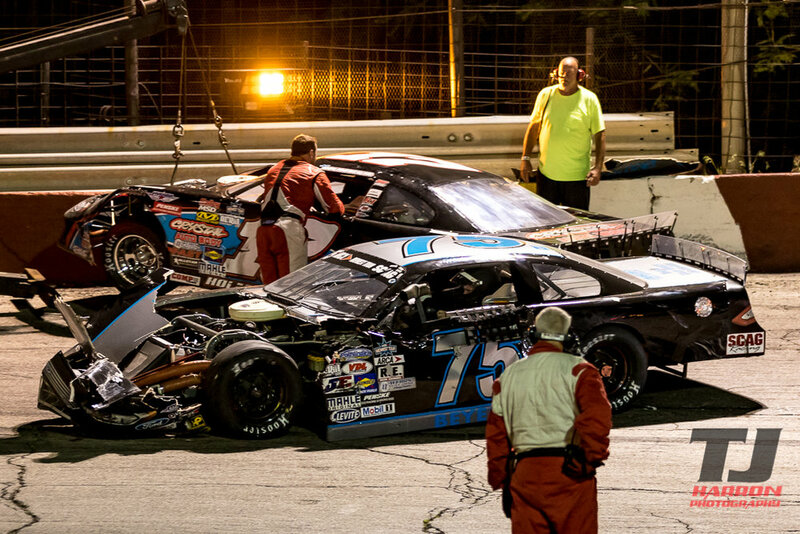 Less than a lap later the hood broke lose of the hood pins and tape and flopped up over the windshield. 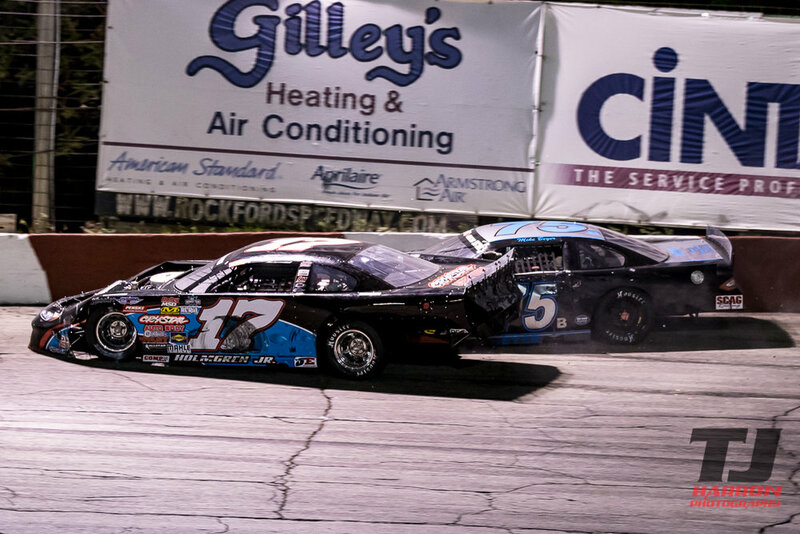 John couldn't see and ran into the driver side rear quarter of Mike Breiner. 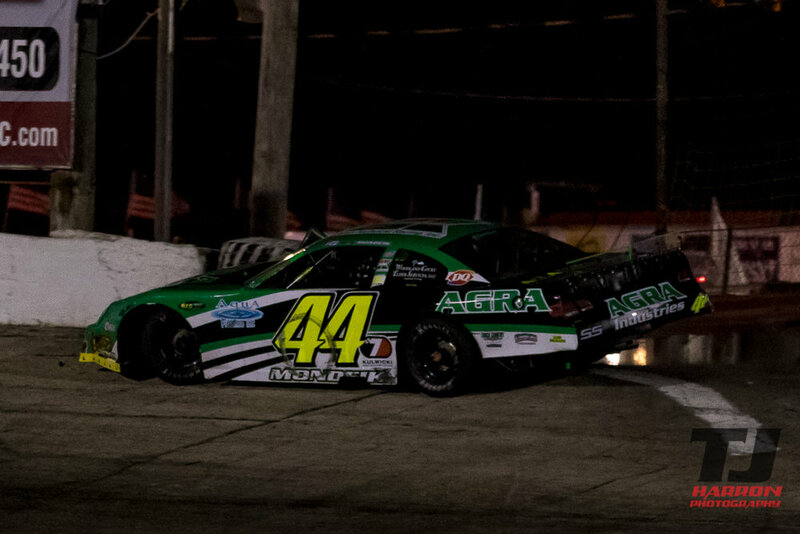 The team attempted to get the car back onto the track. 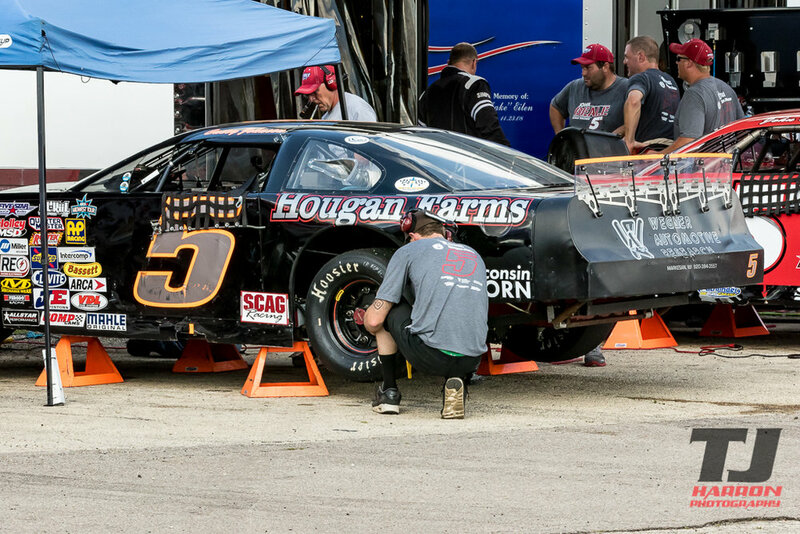 John came back out minus the hood but soon realized that he had no oil pressure. 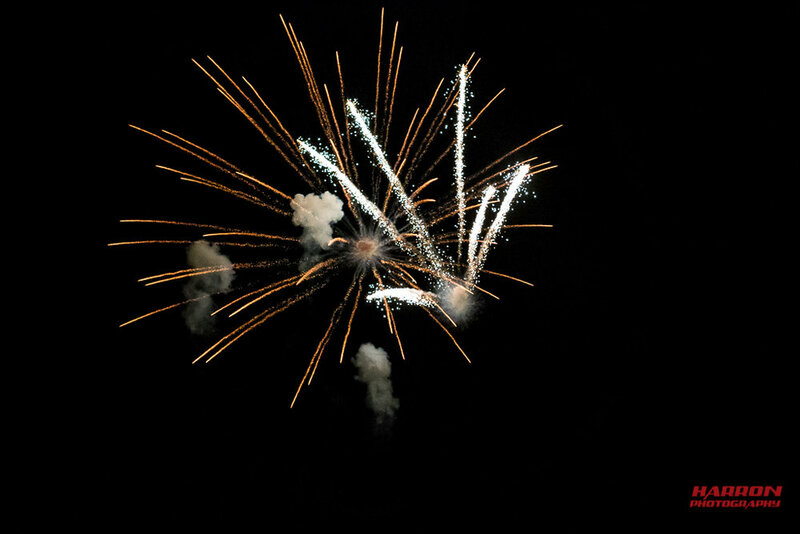 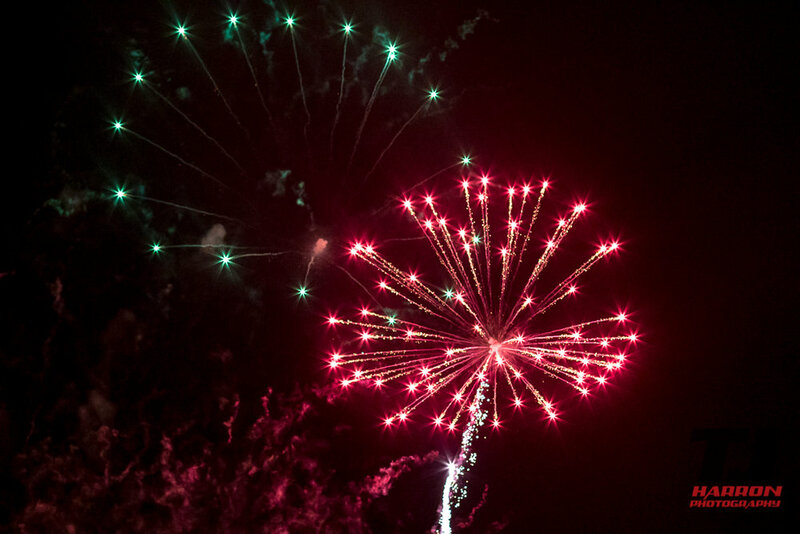 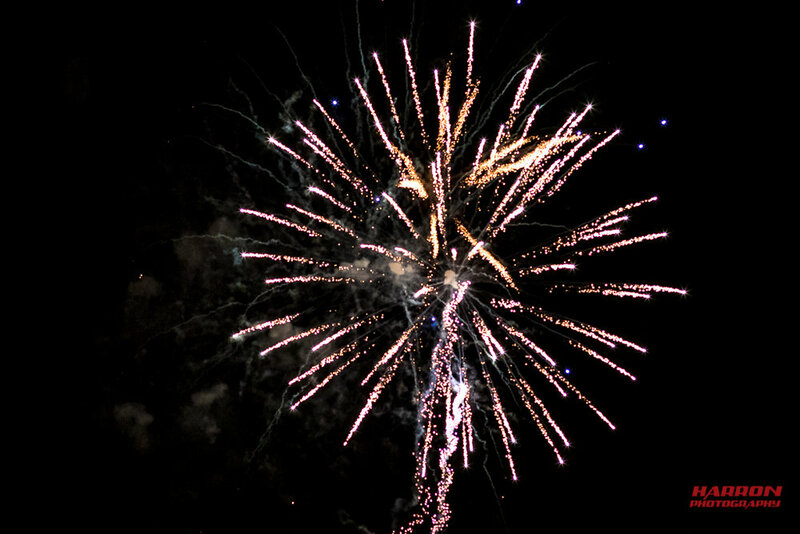 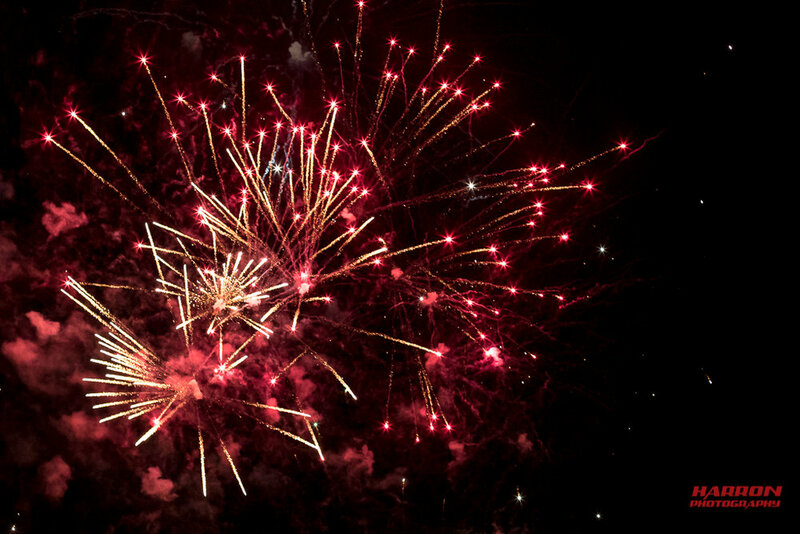 It wasn't the night we had projected. 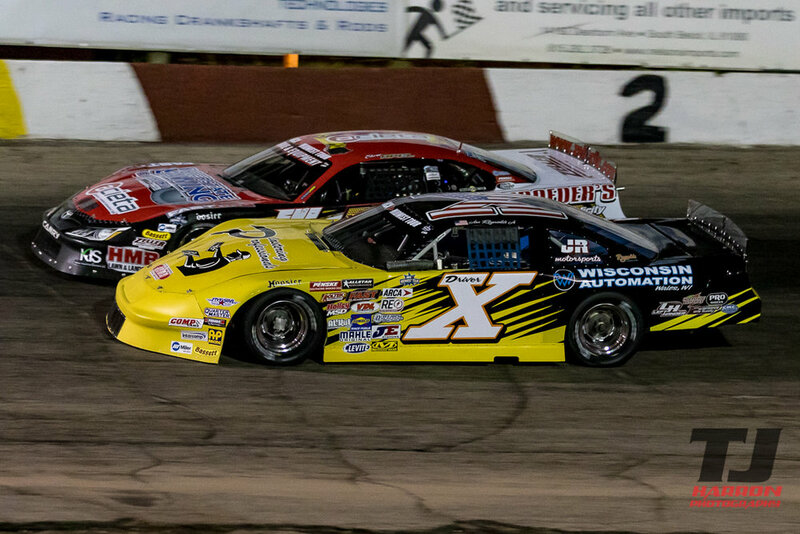 John was running strong before the hood popped.